Another gorgeous Colonial in polished brass. 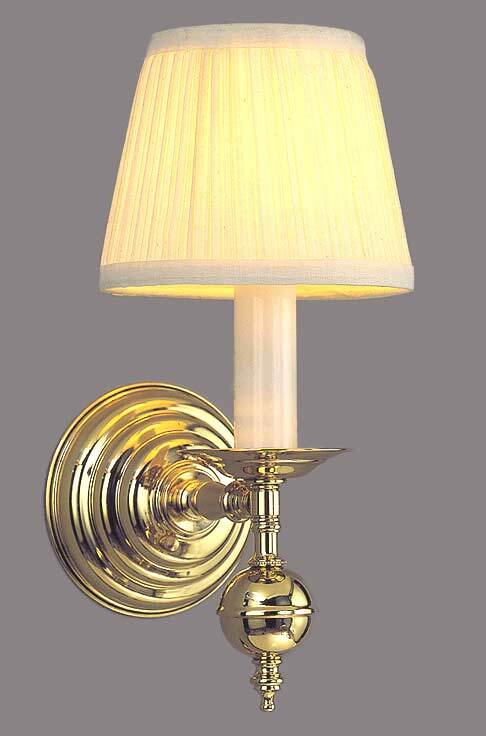 Place this vintage wall sconce in your hall, library, study or powder room. Just beautiful with white mushroom pleat fabric shade. Compare to MODEL 110 for a different look.